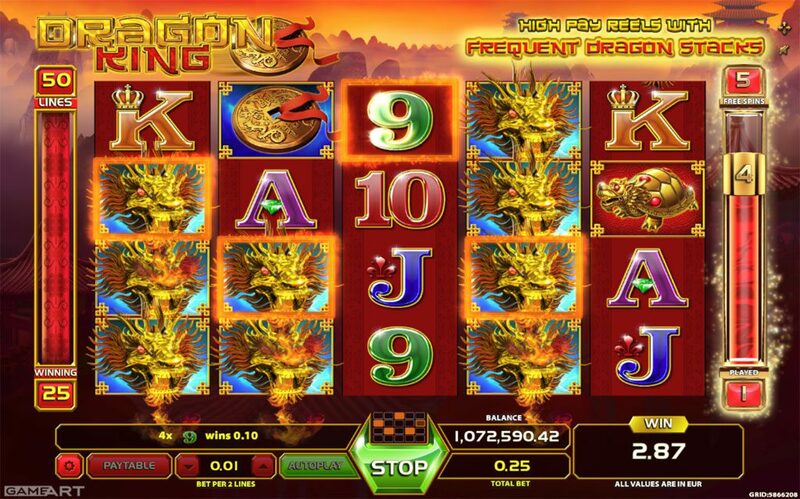 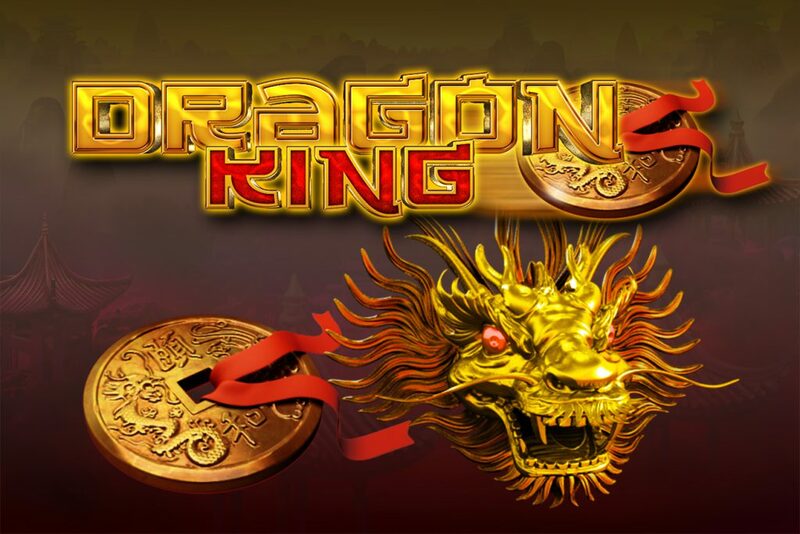 The mighty DRAGON KING is ready to keep you excited during every spin with its brilliant design, 50 pay lines and frequent wild stacked symbols awarding big wins. 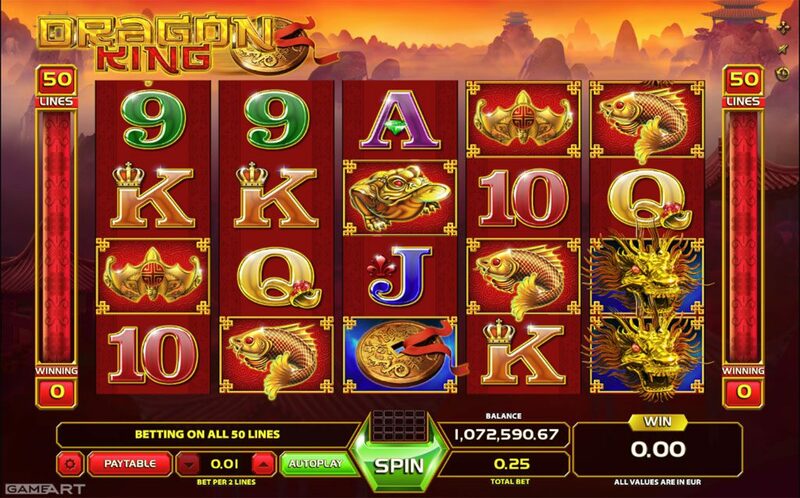 The bonus feature is triggered with three scattered Coin symbols in any position on reels 2, 3 and 4 awarding 5 free spins, with additional stacked dragons on bonus reels. 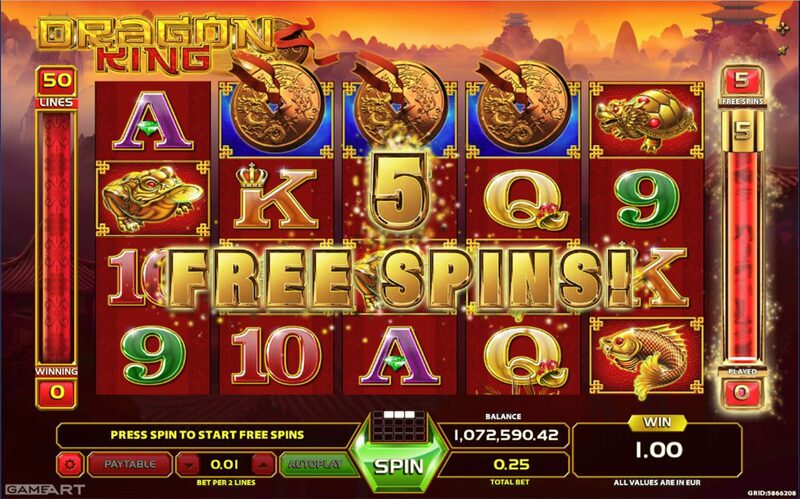 Bonus feature can be retriggered during free spins.